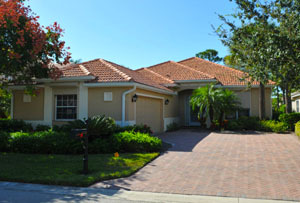 Riverwalk is one of the first communities established in Lakewood Ranch. An enclave of cozy single family homes built along glistening lakes and a vast nature preserve, Riverwalk real estate comprises one of the most family-oriented communities in this award-winning master planned development—where landscaped lawns are interspersed with Mother Nature’s spectacular beauty. The warm and friendly community at Riverwalk makes it ideal for families, especially with school-age children. There are several scenic hiking trails to enjoy the wonderful natural environment, which promotes a healthy and earth-conscious outlook for the residents. An astounding 150 miles of nature trails wind through the numerous preserved wetlands and woodlands at Lakewood Ranch, offering a multitude of opportunities to watch wildlife in its natural habitat. The village of Riverwalk consists of three to four-bedroom single family homes of approximately 1300 to 3000 square feet. A number of smaller neighborhoods with different home settings make up the whole community. Although the residences are differently designed, a common feature is the lush landscaping that residents enjoy from their bright and airy living room or covered lanai. The price range for Riverwalk homes for sale is generally within the $200s to the $400s. Aside from this community’s undeniable hometown feel, Riverwalk residents enjoy an active social life at Lakewood Ranch. 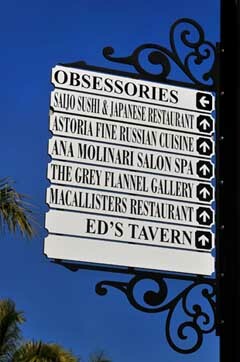 Main Street is located at the Town Center, a commercial hub composed of boutique-style shops and different types of eateries. Ice cream parlors, bistros, and coffee shops all come alive during one of Lakewood Ranch’s many exciting events, such as the regular Music on Main every first Friday of the month. Other special events, such as wine tastings and golf tournaments, are part of the community’s social calendar. Local holidays are also a great way to mingle with the neighbors and engage the kids in some fun-filled activity, such as the Easter Egg Hunt at Adventure Park. For healthcare and medical attention, Lakewood Ranch Medical Center provides 120 beds for acute care, in response to the growing national need for immediate healthcare services. The facility has a staff of over 400 physicians and healthcare providers, who also have offices in the adjacent Medical Building. Diagnostics services and laboratory facilities are also available in this building. Formerly a parcel of agricultural land, Lakewood Ranch was developed into a master-planned community that provides all the immediate and extended needs of its residents. From education, shopping, dining, entertainment, sports, and recreation, Lakewood Ranch has it all. The selection of private and public schools are among the best in the area, and the sports facilities are to brag about. Golf, tennis, swimming, baseball, polo, and a number of other recreational facilities are all within reach across all the communities. As a prime residential neighborhood, Riverwalk not only provides easy access to all the opportunities for a sound and healthy lifestyle, but also a chance to be closer to nature and appreciate the beauty of every creature living within its community. Below are all of the current real estate listings available for sale in Riverwalk.